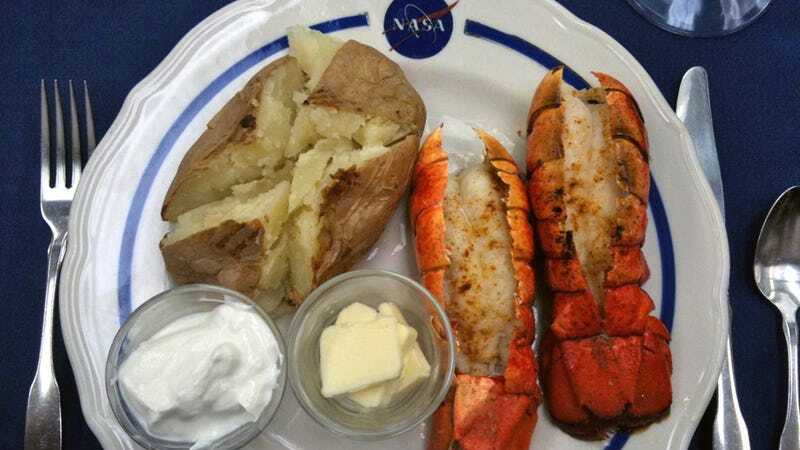 Two grilled lobster tails, one baked potato, butter and sour cream. That's what Mike Fincke—USAF Colonel and STS-134 Mission Specialist 1 in the space shuttle Endeavour—had for his "send off" breakfast today, just before the launch. One more reason to become an astronaut: You get to order whatever awesome breakfast you want on launch day. Just because you can blow up in a million tiny bits riding a gazillion tons of liquid and solid fuel, I guess.